Charles Nikunu Yunupiŋu has just announced his CLP Candidacy for the Seat of Nhulunbuy, NT. Before Christmas he was making preparations for his early departure from this earth. Charles was suffering from a critical condition brought on by the worst of European foods. He’d been hospitalised twice before Christmas 2015 and his future was looking very bleak. He asked me to intervene in his medical situation because he wasn’t getting a clear picture from the medical system and what he was hearing wasn’t very encouraging. When we got his full medical report he was right, he didn’t have a very bright future ahead of him, in fact he didn’t seem to have long to live. At the time, I was working with another community leader from Galiwinku who was also in Royal Darwin Hospital looking down the barrel of full-time dialysis in Darwin. Both men asked if they could join our “HopeForHealth” program that Why Warriors Pty Ltd had running at Galiwinku, Elcho Island. The link below tells the story of the steps taken to bring both of the men’s medical condition under control. At the end of the two week program of good food and exercise, Charles said, “I feel like a new man”. Both he and his wife have been “sticking to the new diet”, based on traditional foods and good modern foods. “No more junk food for us!” He is also exercising regularly which is something he couldn’t do before. 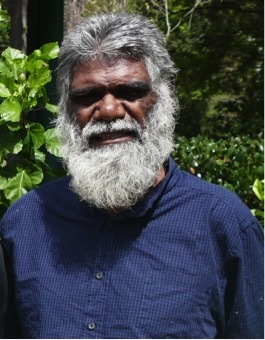 Plus now he is standing for the seat of Nhulunbuy in the Northern Territory Legislative Assembly elections to be held in August. Now HopeForHealth is trying to raise funds to run “their first Traditional Health Retreat” so 30 more Yolŋu people can experience what it feels like to be healthy. The two week retreat will be held on Elcho Island in August 16. Yolŋu participants will experience eating good food and gentle exercise. They will also learn in their own language how food can be their best medicine and how their ancestors had the good eating formula right.